With an Oscar on his mantle (surprisingly for writing and not acting), Matt Damon has spent the better part of two decades amassing an impressive filmography. Whether it's making a supporting role memorable (in Courage Under Fire and the Ocean's films) or embodying a title character (see Jason Bourne or Tom Ripley), Damon is worth watching virtually every time. 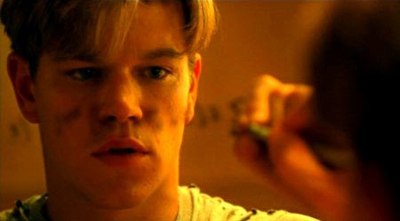 Let's see how well you know the roles of Mr. Matt Damon.